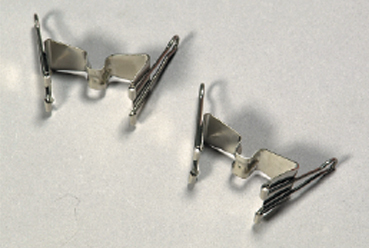 * The Wet Canvas Carrier Clip is a uniquely designed piece of artist toolery, capable of holding two wet canvases, yet folds in such a way that the canvases can stand in their vertical position. * Furthermore, this unique device enables one to transport wet canvases within an artist portfolio. * For best results on larger canvases, it is recommended that four clips are used for every two canvases.